After proposing, you can articulate and create a first, one of a kind impression by investing in a wedding deal that is classy and lucrative. Getting a limo for hire can transform your wedding into a royalty event. We at Modesto Limo Services offer world class wedding transportation that will give you an unforgettable experience. Our team is experienced and competent, which has helped us create an excellent wedding transportation record. Below are brief details about our limo packages. Fitted with an excellent lighting system, our limos come with contemporary items such as leather seats and high-class amenities. These vehicles are also equipped with television screens, DVD player, Bluetooth connection as well as excellent sound systems for your entertainment. 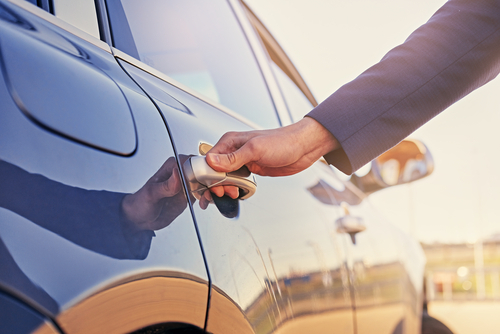 We have a well-timed limo service that ensures that you get to your destination in time. Our competent and dedicated chauffeurs will give you a royal service and ensure that your wishes are transformed into reality. These chauffeurs are always time cautious, which ensures that you and your guests arrive at the event on time. They also exhibit high safe driving skills in addition to being venerable, smartly dressed, and courteous. More importantly, they are well instructed to always wear a welcoming smile and will respectably usher you into the event. Our company has a range of world-class limos that are equipped with high-end technology items like GPS system. We also own a fleet of luxurious vehicles such as stretch limos, party buses, and Cadillac Escalade sedans. Our Hummer features consist of an amazing lighting system such as laser light displays as well as strobe lighting. Other types of transportation include corporate limousines, with vehicles like Mercedes S550, Lincoln Car Sedan, and Camano limo as well as a California party limo. This hourly package is used for separately transporting the groom and bride to the venue. It can also be used to transport the entire wedding to the reception. The limousine comes equipped with all amenities and swiftly whisks all the attendants to their respective destinations. If you want to offer safe and luxurious transportation for your family or guests, this package will suit you best. This is because it will ensure that they get to and from the events safely and on time. These services are offered on an hourly basis and allow for your guests to be picked and dropped to the airport. Most people prefer two-hour schedules, basically two in the beginning and in the end. This is an ideal package if your wedding and reception are at the same venue. This package involves transportation of the bride and groom to a destination of their choice. It may also include a red carpet treatment as well as a “Just Married” sign on the vehicle. A plus package could also come with accommodation and breakfast. One of the most important decisions when planning for a wedding is choosing a transportation method. Wedding transportation includes limo transport, which often provides a luxurious, classy, and memorable experience. This is the main reason why Modesto Wedding Transportation provides these and other unique transportation services to fulfill the unique requirements of all our customers.